This is a pack of multisamples you definitely need to raise the temperatures in hairstyle music. Hardstyle basses are the best way to rock it hard with bass sounds in hardstyle music. 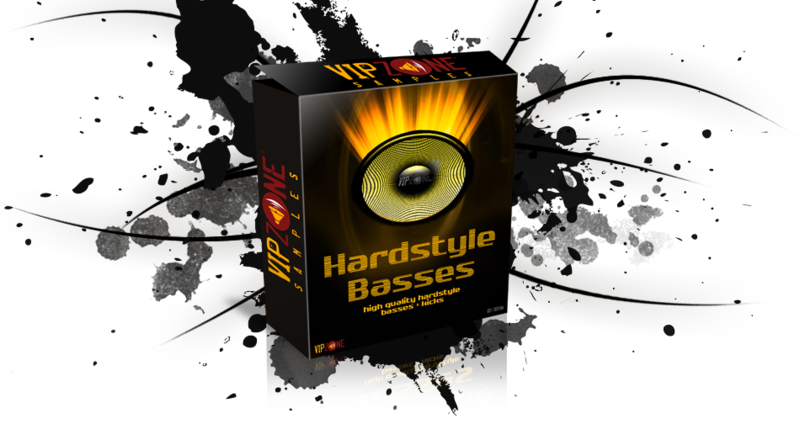 This pack is delivered to the consumer in two file formats; there is the collection of 75 hardstyle basses saved in the SF2, SXT and Reason refill formats. The 75 files are also produced in the wav format for added quality. The other lot is a collection of 80 hardstyle kicks all utilizing the wav technology. It is time to party hard with kicks and basses you can generate from this pack. Any producer worth the name will surely spend some coins in this masterpiece compilation. VIPZONE doesn't mess with value; wav technology is put in place to ensure this. Hardstyle basses are for those who love the heated temperatures of bass sounds. With this pack any producer is bound to invent club booming hardstyle tracks for the club. Get the first hand opportunity to try this amazing pack with a blend of other kicks from different VIPZONE SAMPLES packs. As we all know Hardstyle music is one that needs keen composition for it to make sense; if you have produced hardstyle music for a while then you sure are comfortable with use of acoustic instruments in your tracks. This pack promises the same prowess with the vast number of bass options carefully selected by professionals. The guitar and bass blend isn’t your limit with this; expand the use of the kicks and basses into genres like Dance, Techno or Progressive. All the fans will love the stimulating bass and energized melodies coming from the speakers. VIPZONE SAMPLES promises quality with this pack of multisamples and a royalty free guarantee on purchase. A jackpot for all Hardstyle producers! Get this pack and start making money with the vast number of tracks you create. And it is not just about producing a lot of tracks, but top-end sounds at that. You can trust the hardstyle bass pack to deliver that. If you are the producer who has been longing for quality bass sound in their music, buy this pack of high quality basses and kicks. Don't believe it, download the demo!